He was also unhappy that he was being recorded. I guess Muslims don’t mind an occasional video of the beheading of a westerner, but don’t turn the tables on them by using video to expose their hate. 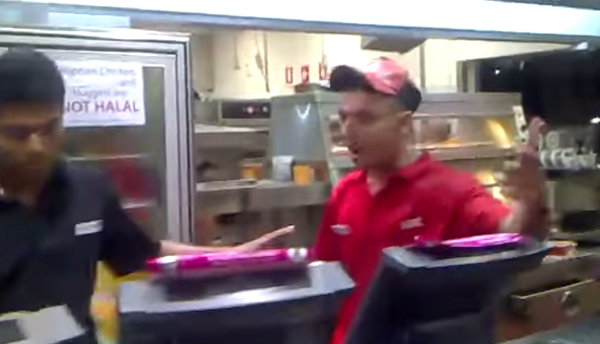 The employee was ultimately suspended for his disgusting tirade, but it still doesn’t make up for the fact that a supposedly western nation like Australia has bowed to Islam like this. How long will it be before liberals in the USA begin to force restaurants to observe Islamic “law”?